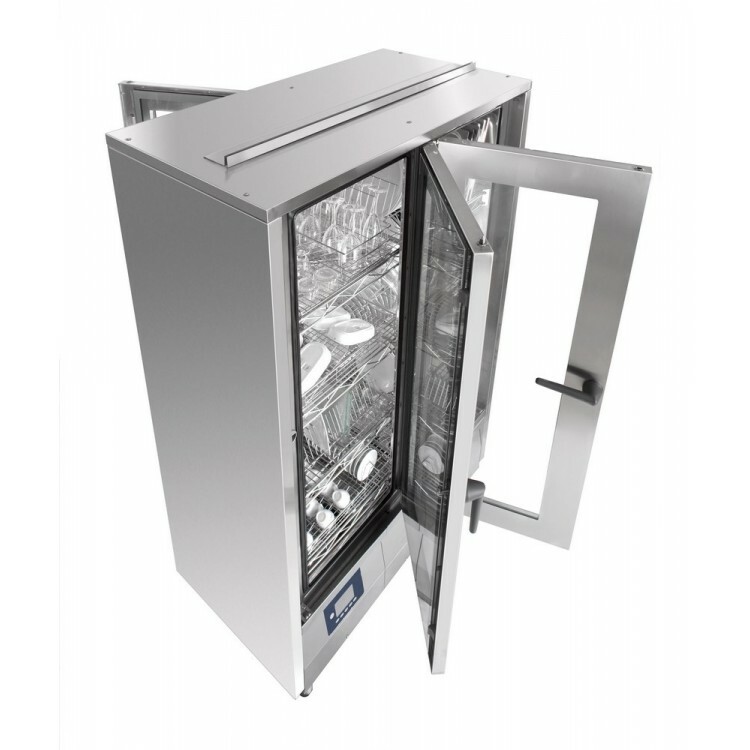 Dishwashers Direct are proud to present the KROMO Wash & Store dishwasher. The Wash & Storee can wash any kind of crockery, cutlery, terrines...but also glasses, utensils, accessories and pots. WASH & STORE is available in two versions: a frontload one and a passthrough one –embedded in a wall- the second allowing a connection between two rooms, providing a net separation between loading area and clean area (kitchen) reducing even more the use of space. When compared to a traditional system, WASH & STORE consumes remarkably much less water i.e. much less chemicals. The electrical consumption is minimal and, thanks to the delayed Starter, you can run it far from electrical peak times. This allows the reduction of installed power supply and, mainly, reduces the electricity bill. The KROMO Wash & Store offers 9 wash cycles and will run through between 50-150 covers per hour. The KROMO Wash & Store is delivered within 4 weeks and we would recommend that you use our qualified installation service. 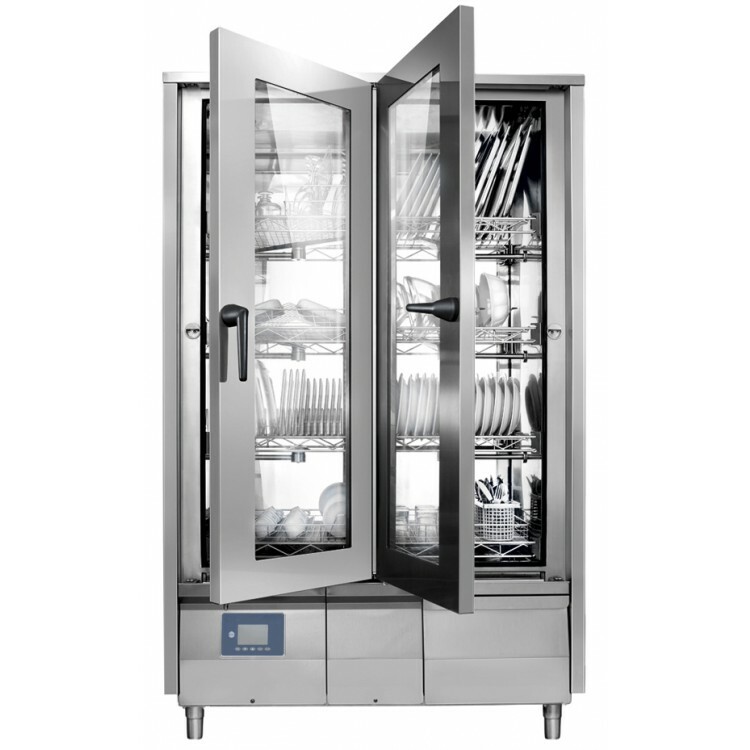 If you choose to have this dishwasher installed by Dishwashers Direct, we will provide you with 1 year FREE Parts & Labour Warranty. If you choose delivery only, we offer parts only warranty. You can choose to upgrade and extend your warranty upto 3 years including parts and labour. Delivery of KROMO Commercial Washers usually take upto 4 weeks as they are delivered directly from the manufacturer. The price for this is included in the price of the goods unless otherwise stated. All deliveries are single man deliveries and are delivered to the door of the business.